It’s time to upgrade your interface. You’ve jumped into the enchanting world of audio engineering and it has consumed you. It’s made you into a workhorse—cranking out 3am sessions while running on a mixture of coffee and Redbull. The life of an engineer is an exciting, frustrating, and rewarding path all balled into one. Those who live in the studio, perfecting their craft know that quality equipment can make a world of difference. Having the right microphones, the right compressor, and the right monitors are an essential aspect of any good recording. However, none of that matters if you don’t have a solid audio interface. A great interface can make a huge difference in sound quality. 1. How Does It Sound? Sound quality is everything when making a classic. The more work your interface does, the less work you have to do later. A/D conversion is an important aspect to consider. This is the process of converting sound into a digital number that represents the time and amplitude. The D/A process is then sending that digital code back through your interface and out your speakers (analog sound). The trick here is quality conversion. A bad interface can cause noise distortion and low dynamic range. Look for an interface that has low distortion, great dynamic range, and an almost nonexistent noise level. With a great converter, you can capture crisp high end frequencies like an acoustic guitar or hi-hat that can often be lost when recording through a sub-par interface. While you’re at it, check the preamp of your future interface. 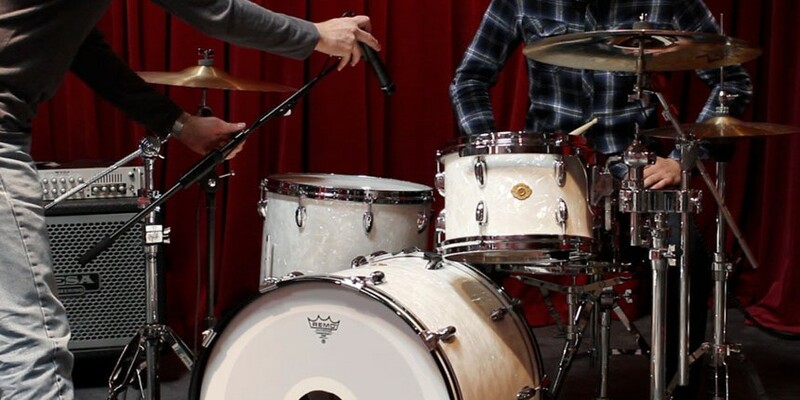 A wide gain range can play a pivotal role in the capture of great sound. Apogee’s Advanced Stepped Gain Architecture helps retain the full impact and lifelike dimension of the original performance. With a gain range of 0-75 dB, you have the power to record whatever you want with the ability to articulate that sound into a lifelike delivery. If you’re stuck with a constant slow workflow and a lagging session, the answer is here. Thunderbolt 2 delivers an unmatched performance with low latency and a large bandwidth. If you’re recording a large session while running multiple inputs and outputs simultaneously, a higher bandwidth might be for you. So what does this techy stuff mean? It’s fast and can handle a lot when implemented with an interface designed around Thunderbolt. You can move data to and from your interface up to 25 times faster than FireWire. 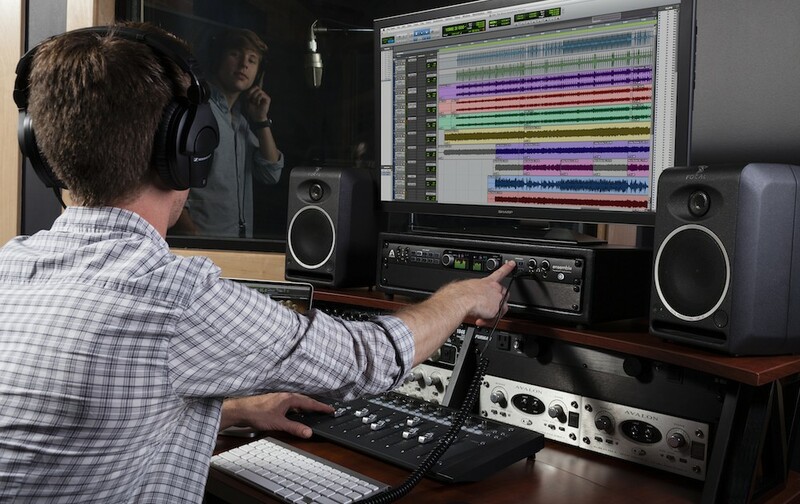 However, if you just need to track a couple things at a time or are chilling on the tour bus and want to record some vocals like Dierks Bentley, a USB connection is more than enough. Apogee’s Duet is a perfect example for something like that and was used in the song linked above. The bandwidth Thunderbolt provides would be overkill in that situation. So consider what the main use for your interface is when deciding what connection you’re looking for. Don’t be blinded by all the bells and whistles you see on some gear. When looking for a new interface, really consider where your money is going. If you’re looking for something with a lot of inputs, there are plenty of lower cost options. Now break it down. Cut the cost and attach it equally to each input. How much is each input worth now? For the same money you’re going to spend on budget-friendly 8 input interface, you could buy a high-end 4 input like the Quartet. Spend your money wisely. If you’re shelling out money for a new interface, make sure it’s going to last you a while. You don’t want to spend a lot of money on something that’s going to give up on you after a few years and tours. Read reviews. Ask knowledgeable people. It’s an investment so make sure it’s going to benefit you down the road. Having enough inputs and outputs for a recording session can be vital. Waiting to track something because you don’t have an extra I/O can be killer when it comes to the momentum of the recording. So if you’re recording drums for the first time and need more than your 4 mic preamps, it might be a good time to upgrade. Adding more mic preamps can allow for a smoother workflow that gets the job done and makes you look like a pro. No more running around in the middle of sessions and changing cords—you can have all your levels set before you even start the session. A great interface like the Apogee Ensemble Thunderbolt wipes away the trouble of coming up short. With 10 analog inputs, you can connect any combination of microphones, instruments, external preamps, and other analog devices! Having an interface that is easy to use can increase workflow and make you look more professional in the process. Time is money. So don’t waste your time trying to figure it out. Plenty of interfaces out there will provide a seamless transition for any user while enhancing your end results. Look for something you’re comfortable using or can learn quickly. You’ve got work to do. As you can see, there are many things to consider when upgrading your audio interface. Whether you’re a home warrior or a studio pro, Apogee products are here to deliver you the best sound achievable. Take the time to check out our current interfaces to see what best fits your set up. Quality recording is just around the corner and it’s waiting for you.